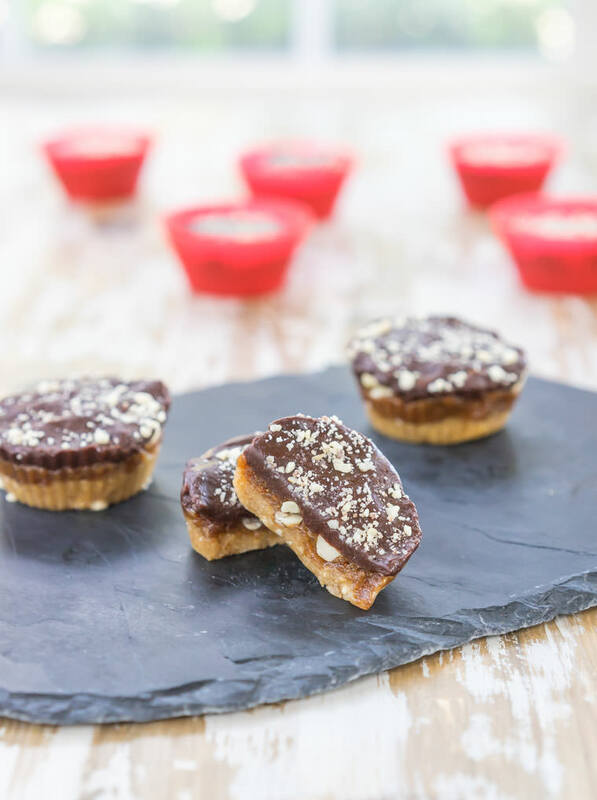 These healthy, unprocessed, raw, vegan cups made from mostly dates & nuts taste just like a Snickers bar! They're a delicious, rich, and easy/fun dessert to make. And just like Snickers, these have three major flavors: the nougat, the caramel, and the chocolate. Each one is made from a base of dates, but they all have totally unique flavors and textures. The nougat layer is made with cashews and macadamia nuts. The caramel layer with almond butter, salt, and vanilla. The chocolate layer is made with coconut butter and cocoa/cacao powder. 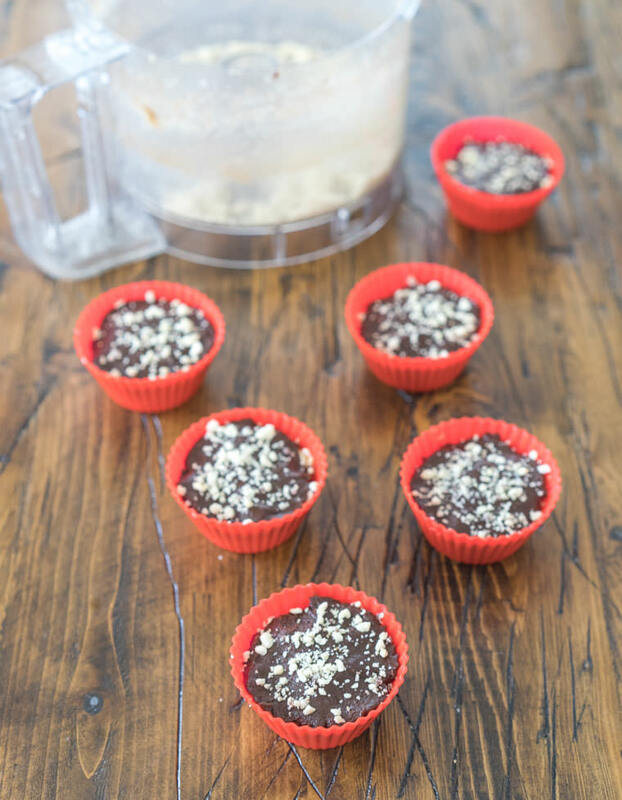 Whip up each component in a food processor, layer them into cupcake liners and chill – it's that easy. To make the first layer, soak 1/3 cup raw macadamias with 2/3 cup cashews in warm water for at least 30 minutes. 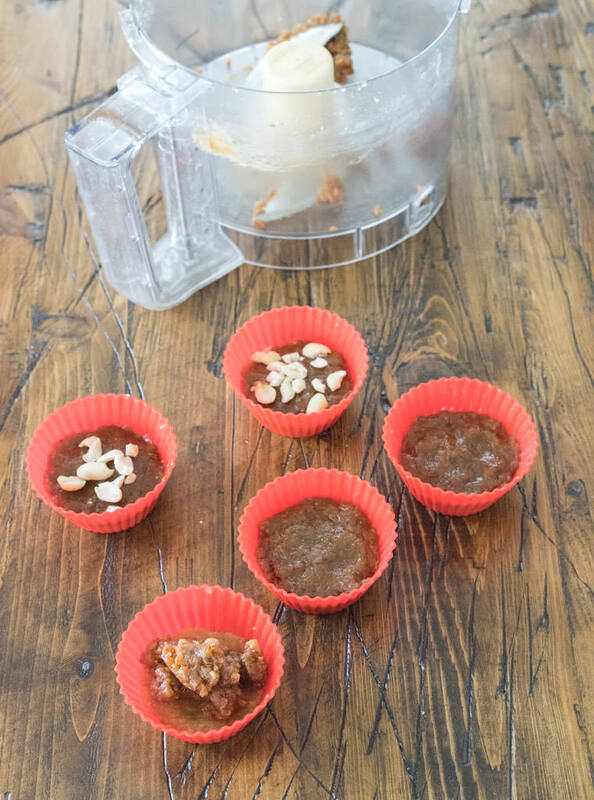 Drain the soaking water and combine the nuts with 5 large medjool dates in a food processor. Blend until the nuts & dates are completely broken down and incorporated into a firm consistency. Divide this evenly between 10-12 cupcake liners and press down until the nougat evenly covers the bottoms of the liners. Pop these into the freezer while working on step two. You'd be amazed how much dates + almond butter taste like caramel, add some salt and vanilla and it's an amazing flavor. That's what we'll do here. 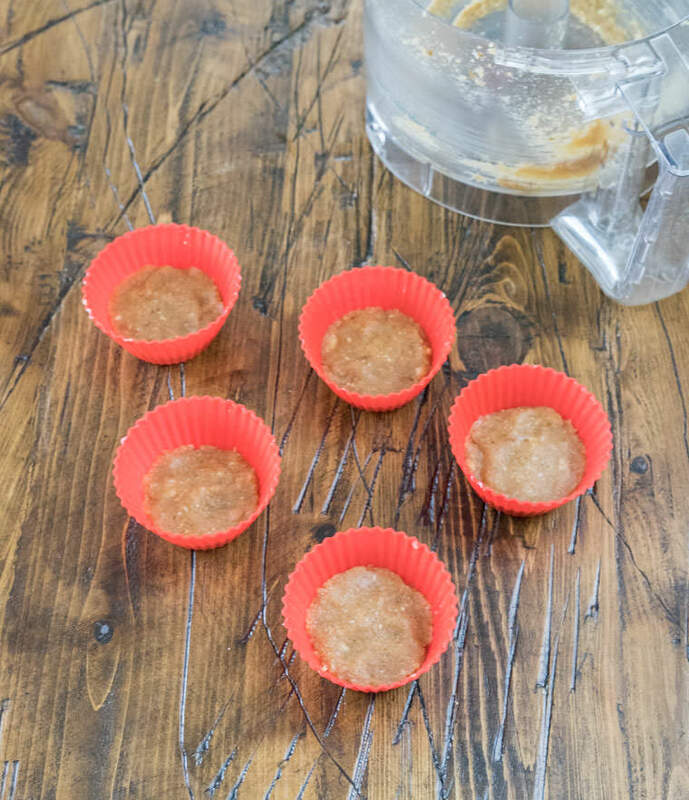 Combine 1/3 cup raw almond butter with 6-7 large medjool dates, process until combined, then add a few dashes of salt and a teaspoon of vanilla and pulse until smooth. Again, divide evenly and press down onto the nougat layer. 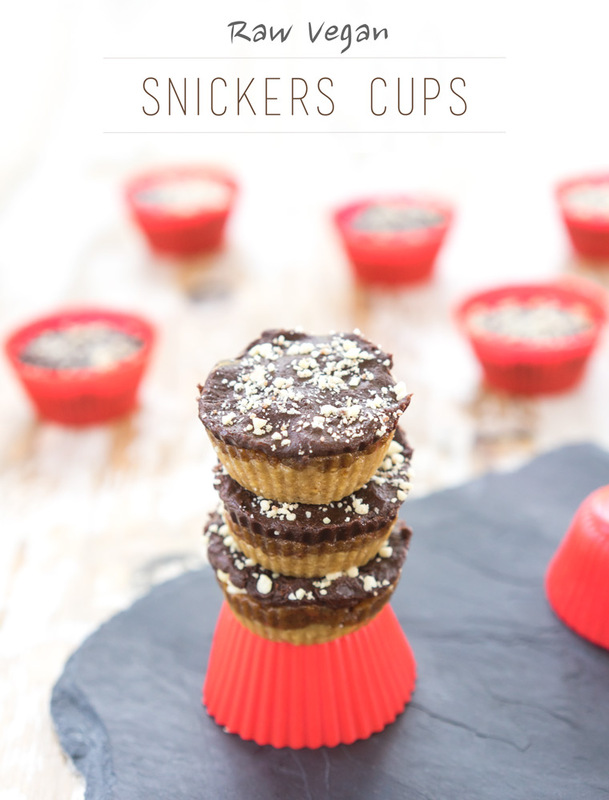 Also at this point, add a few whole or crushed raw peanuts onto the cups and press them into the caramel. Finally, to make a creamy raw chocolate layer, combine 6 large medjool dates in the food processor with 1/3 cup of softened coconut butter (the pureed flesh of a coconut, available by the nut butters) and 2 tablespoons of either cocoa powder (not raw) or raw cacao powder. Blend until smooth and you know the drill – add on top of the caramel/peanut layer. Feel free to pulse a few peanuts in the food processor into small pieces and dust the tops of each cups for garnish. Pop these in the freezer in a sealed container and store there until ready to serve. They won't freeze solid, but will firm into the perfect texture. Be sure to check out Andrew's website for more amazing plant-based recipes! Find our why he calls himself the One Ingredient Chef here.